throughout the 2000s, but it has slowed down since 2011 and now is reaching a bottom: oil prices continue to languish at lows not seen in over a decade and metal prices, outside of gold recently, are depressed. This isn’t good news for the world’s mining sector, especially BHP Billiton as it operates both in oil and mining. BHP Billiton is the world’s largest publicly traded mining corporation, based out of Australia. It is engaged mainly in iron ore, coal, copper, aluminum, manganese, uranium, nickel, silver, potash, and petroleum. It finds these materials, take them out of the ground, process them, and sells it around the world. The end of the commodities supercycle has not been kind to BHP Billiton. Since the peak of its stock price in August 2011 – coincidentally with the peak in the commodity supercycle – the stock is down an astonishing 73%. Since a year ago, it is down almost 60%. And year to date it is down almost 11%. The stock, suffice to say, has been getting hammered. Shareholders have been strapped to a most volatile ride. As the stock price has plummeted amidst the global malaise in commodity prices, the dividend yield has slowly advanced upwards, to where it now sits at an eyebrow raising 12.2% as of market close on Friday, February 12, 2016. This is among the highest yielding large cap stocks in the world. Now, before all you yield-starved investors start salivating at the prospects of a 12.2% dividend yield, take a cold shower and let’s look at this rationally. BHP Billiton follows what it calls a progressive dividend policy, which aims to steadily increase or at least maintain the dividend per share in US dollar terms at each financial half year. This progressive dividend policy has meant that for over a decade, the dividend has slowly been increasing. Again, this progressively increasing dividend streak coincided with the commodities supercycle that started in the 21st century. When commodity prices were booming, BHP Billiton had no problem covering the dividend from earnings. However, with commodity prices for metals and petroleum stuck at lows not seen in over a decade, earnings are taking a hit. In 2015, the company had $1.28 in earnings per share and paid out $2.48 in dividends per share based on BBL ADR stock. Earnings are forecasted to be even lower in 2016. You don’t have to be a genius to figure out that there is a problem with this picture. As I said at the London AGM, the dividend is an outcome of appropriate capital management. Our starting point is to maintain the strength of the balance sheet through the cycle. The balance sheet must always come first. If this doesn’t say loud and clear, in a cryptic sense, that the company won’t be taking on debt to fund the dividend, I don’t know what will. BHP Billiton will not take on debt to fund its progressive dividend policy because it needs to maintain the strength of its balance. The strength of its balance sheet, along with the ability to generate free cash flow on spot commodity prices, flexibility to reduce capital expenditures, and the ability to operate long life mine assets, are the core strengths of BHP Billiton. As the business environment has taken a turn for the worse in the mining sector, BHP Billiton will survive, and eventually prosper, by protecting its balance sheet from over-leverage and high debt loads. While painful in the short term, it is the wise move for shareholder interests in the long run: I mean, better a frozen or cut dividend than the potential for bankruptcy down the line, isn’t it? With the information at hand, it seems that in all probability that the dividend will either be frozen, or more likely, cut to some extent when the the company releases its half year results on February 23, 2016. On a very long, multi-decade perspective, BHP Billiton is very undervalued because of the current low price commodity environment. Global population is expected to grow by an additional 2 billion people by 2040. There will continue to be demand for the raw materials that make up all facets of modern life. BHP Billiton, as the largest and one of the lowest cost producers of these raw materials is positioned to benefit as the world continues to grow. However, in the short term, the ride is going to be extremely volatile. This is a company in which ownership will require a truly long term investment horizon and an ability to ignore the wild swings in stock price that will inevitably be present. 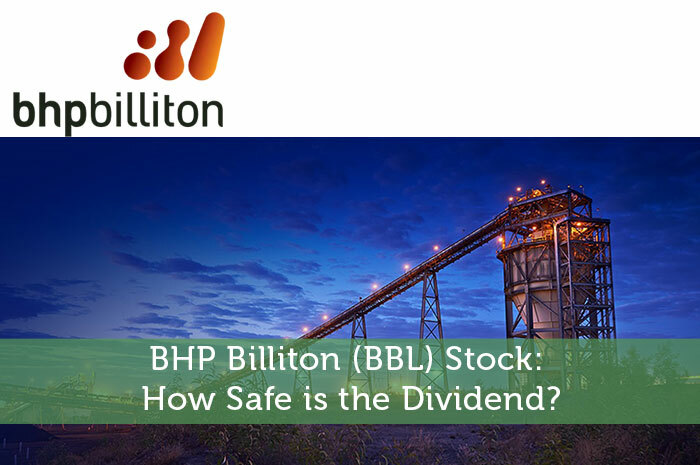 The dividend is likely to be cut on February 23, 2016, but it may be an interesting point in time to initiate ownership in BHP Billiton sometime after the cut is announced, as the operating environment in mining and petroleum should improve in the future, and with it, earnings should grow again and the dividend should be back on its progressive payout track.